bram (at left) and oscar (at right). amanda presented them to me at enid's; steve, in turn, rummaged around in my purse and presented bram to me when i got home last night. am i the girl who gets zombies? that would be outstanding. 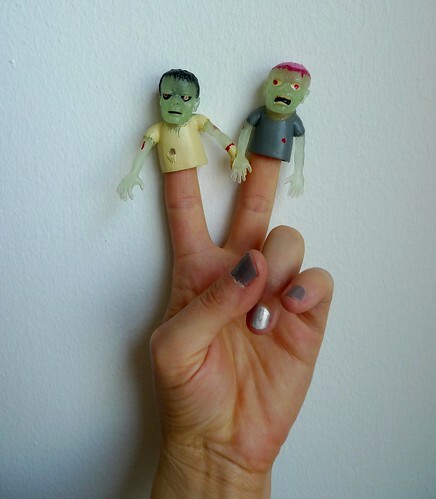 That Steve is presenting you finger zombies certainly speaks to his hunting prowess.